The CAE certificate is one of the most selective and unique credentials in business today. There are, in fact, only 4,000 Certified Association Executives, a mere 2.5% of all professionals managing associations and non-profit organizations. If you aspire to become one of them, it's an excellent ambition. I'd like to help you succeed. This audiobook is designed to do three things. 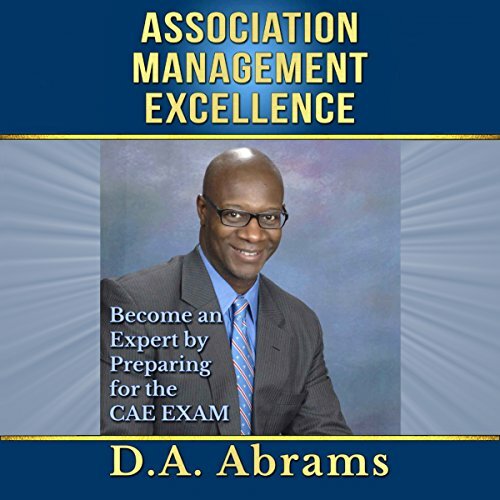 First, it seeks to explain the CAE certification and its many benefits, in the hopes that you will join me in preparing for and attaining this credential. Second, it will provide a step-by-step process for preparing for the CAE examination, strategically and comprehensively. Third, it sets out to explain how to ready yourself for the test itself, and to offer specific recommendations and solid tactics for approaching it, so that you achieve your objective and complete it, successfully and with ease. It also includes two bonus chapters based on my other books. Because Diversity and Inclusion are integral to my personal understanding of how best to manage and understand non-profit institutional excellence, this book includes a special section on D&I that will benefit every executive preparing to take this test. The other bonus focuses on new-school leadership in the 21st century, and details my framework for succeeding as a leader in a dynamic but ever-changing management landscape.